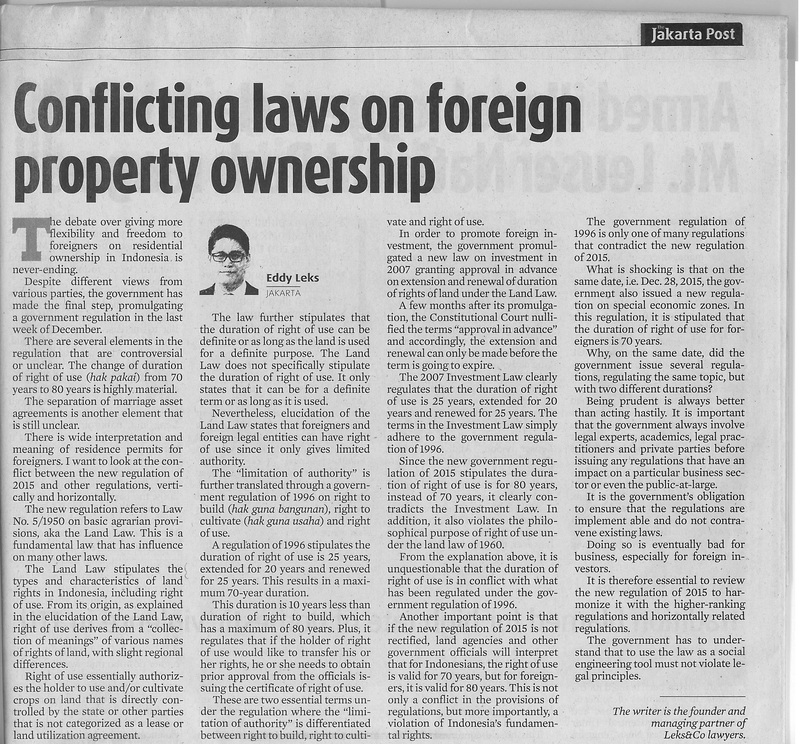 In the opinion section in The Jakarta Post, 19 February 2016, titled "Conflicting Laws on Foreign Property Ownership", I wrote that the new government regulation on residential property by foreigner is conflicting with other regulations, vertically and horizontally. Hence, the new regulation needs to be reviewed to get it harmonized with other regulations, especially the higher regulations. The government of Indonesia must understand that enhancing foreign investment is important, but more important is to adhere to the legal principles and what has been set out by the founder of our beloved country and nation. Please visit this link to read the full article.